Hearing Spanish in Houston every day? Wish you could understand? 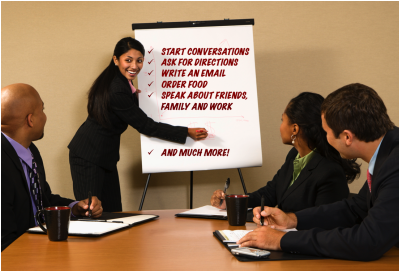 Want to communicate more? 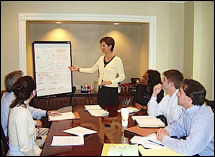 Register Now for Houston Spanish Classes! Learn to do things in Spanish with HABLA's Functionally Fluent! Method. For over a decade, HABLA's effective Spanish-learning program and amazing teachers have made thousands of Houstonians fluent in Spanish! 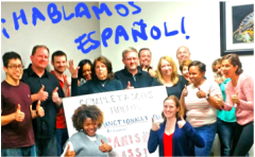 Our Houston Spanish classes are fun and engaging, and backed by our money-back guarantee - learn to do at least 25 things in Spanish at each level, or your money back! See below for upcoming classes, and register now for a Spanish class with HABLA! Buy Advanced book here before class!